The Mobile World Congress (MWC) just got underway at Barcelona and Nokia was one of the few companies besides Samsung and Hauwei to show off their latest offering. 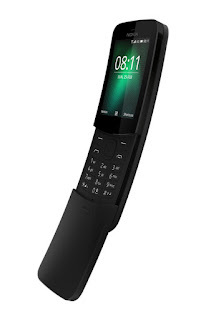 While Nokia had quite a few devices and a big Android announcement what stole the show was the Nokia 8110 4G. Like the 3310 announced last year, the 8110 4G was Nokia and HMD betting big on nostalgia to win on the nostalgia to get people talking about Nokia smartphones (and it works). 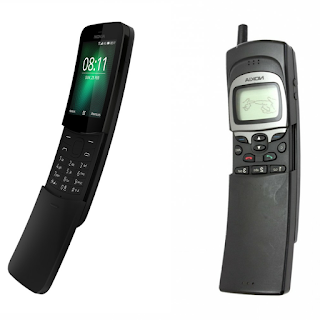 The Nokia 8110 4G brings back the gratifying old feeling of sliding up and down the cover to end and answer calls. The rather weird looking "banana" phone was once featured in the classic action movie the Matrix and back in the days, everyone including yours truly wanted that phone. 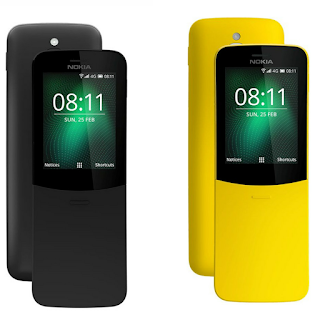 The Nokia 8110 4G has got a 2.45 inch 240 x 320 pixels display, a dual-core Snapdragon 205 processor with 512MB RAM, 4GB memory, 2MP camera with flash, Bluetooth 4.1, A-GPS, FM radio, dual nanoSIM support and is powered by a 1500mAh battery. The rebirthed Nokia 8110 4G casts aside the old S30 software for a forked version of Mozilla defunct Firefox OS called KaiOS. The KaiOS helps the 8110 4G keep up with the present with the addition of a web browser, Google Maps, Google Assistant and Google Search. It also supports contact and calendar sync with Google servers which is something that has kept me away from feature phones. Heck, you can also check your Facebook and Twitter on this phone. 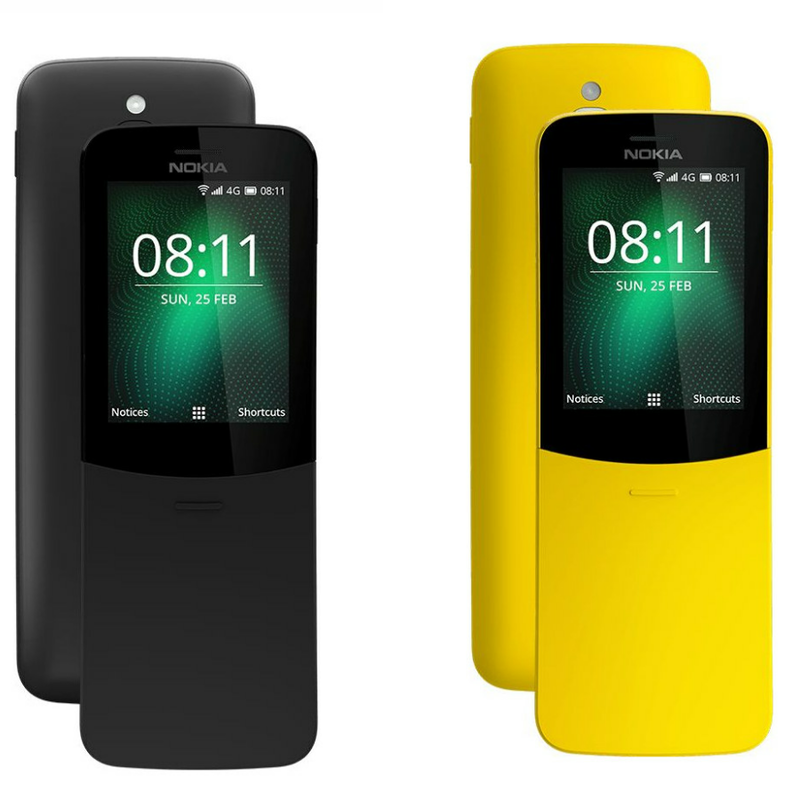 The Nokia is expected to retail for about €80 and would come in either discrete black or the ridiculously ostentatious banana yellow.